If you’ve been holding out for a combination of Nokia hardware and Android software, your dream may (eventually) come true. Apparently, former Asia Pacific CEO of Nokia, Thomas Zilliacus, has started up another company with several other former Nokia employees and is calling the company Newkia. The important thing to remember about Newkia, though, is that they’re committing to building phones that run Android, not Microsoft software. Zilliacus claims to have already tried to raise funding to buy out Nokia since before Microsoft stepped in and purchased the company, but couldn’t compete with MS’s offers. The silver lining there is that there are some investors who believe a combination of Nokia and Android has the potential to be successful, and so Zilliacus doesn’t think securing funding for the new company will be much of a hassle. If all goes according to plan, he wants to have the company totally operational by 2014, which potentially would allow “Newkia” to have a phone out for the holidays next year. Wishful thinking? Maybe. Technically, since Microsoft only purchased the hardware division of Nokia while licensing (not purchasing) their patent portfolio, there’s still a chance for another company to use things like Nokia’s PureView technology in the camera of another smartphone. Whether or not Nokia would license out their top tech like that to a company that’s going to compete against Microsoft remains to be seen, but hey, anything’s possible. What do you guys think? 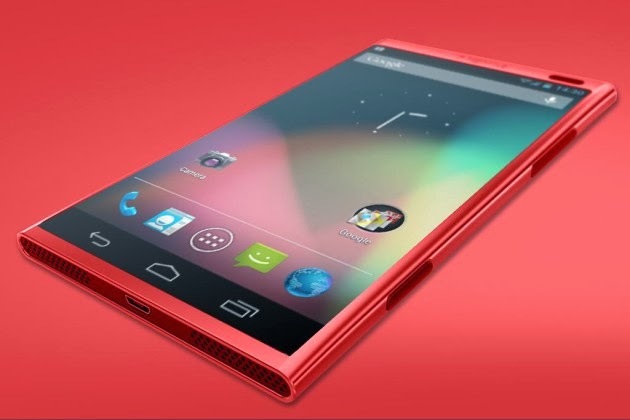 Would you buy an Android powered Nokia device, or are you happy with another OEM of choice? Personally, I don’t think a startup like Newkia would have the cash or power to compete in the Android ecosystem. We’ve already seen that marketing dollars take a company further than premium build quality or truly innovative features. Just ask any of the countless OEMs that are fighting for Samsung’s top spot in the market. Link your website with us for free! I’m Vinay Vernekar , a young Entrepreneur and a Technology blogger, currently living in Kolhapur, Maharashtra, India. Founder and Main author of Fun With Tricks. I am also running web hosting services at Host With Us and King Of Web Host. if you like this article, pin it with social media, subscribe to our newsletter. Follow me on Google Plus, Facebook, Linkedin and Twitter. You are always welcome to leave valuable feedback! Subscribe to Get Latest Tutorials via email!